Sarah Letor, a Belgian jazz singer with a lot of oomph, informed me of her participation on the Cognac Jazz Festival in France. 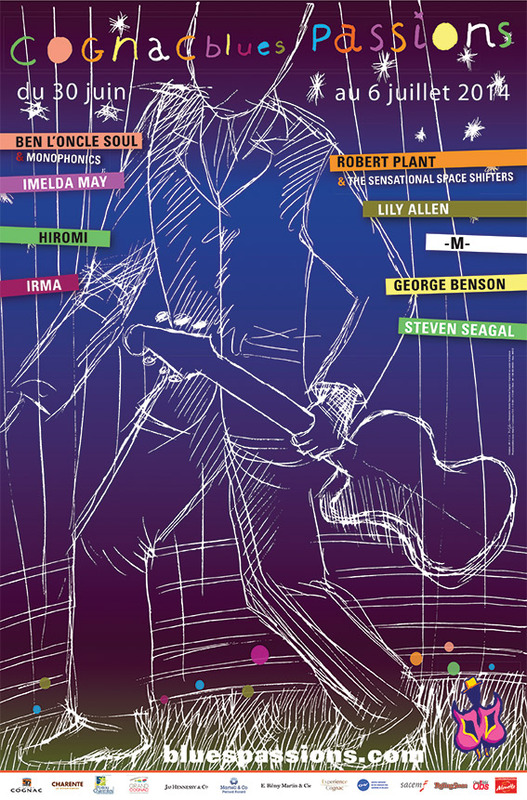 Please look at the program, you will definitely fall in love with France! I know that it’s during the Mundial of Football… but in France we have electricity AND digital TV’s :-). No excuses ! Some announcements have to happen in my mother tong :-). 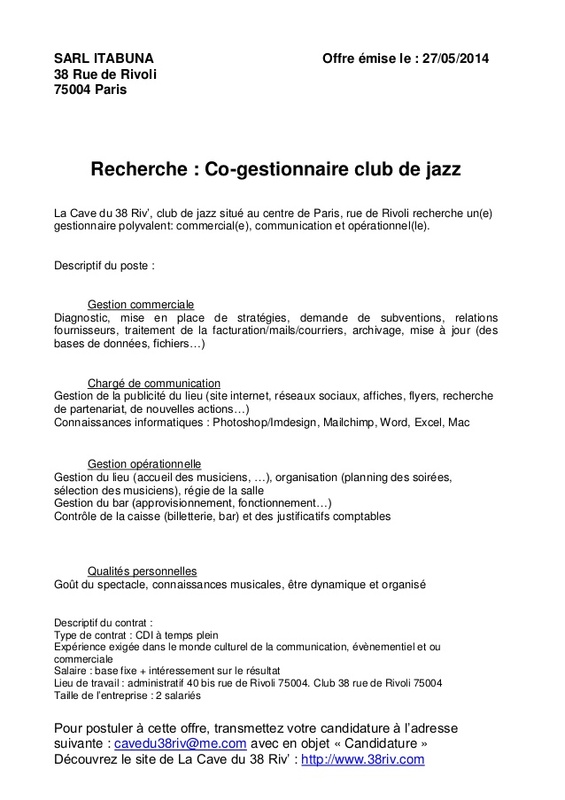 Here is a job opportunity for French speaking people who want to apply to become the co-manager of a famous Jazz club in Paris, la cave du 38 Riv’.